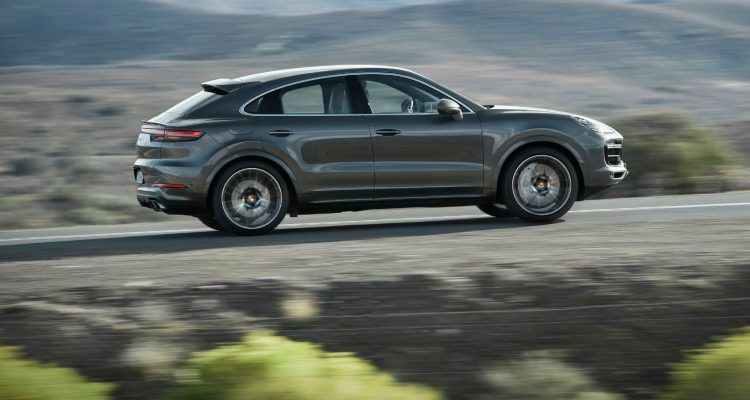 2020 Porsche Cayenne Coupe: Now With "Broader Shoulders" 2020 Porsche Cayenne Coupe: Now With "Broader Shoulders"
The 2020 Porsche Cayenne Coupe has a lower profile than the normal Cayenne. Two engines are available, including a more powerful and turbocharged V8. Porsche says to expect the new Cayenne Coupe in the U.S. later this fall. Porsche is extending the Cayenne model line with a new Coupe body style. Highlights include sharper lines, an adaptive rear spoiler, individual rear seats, and either a standard panoramic fixed-glass roof, or an optional carbon fiber roof. The 2020 Porsche Cayenne Coupe also has a Turbo variant for those wanting a few more ponies. 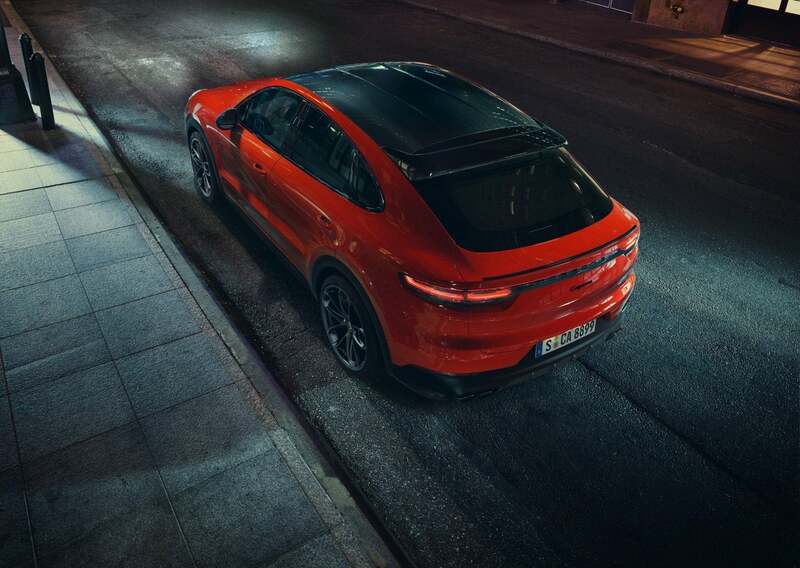 “The Coupe includes all the technical highlights of the current Cayenne, but has an even more dynamic design and new technical details that position it as more progressive, athletic, and emotional,” said Oliver Blume, Chairman of the Executive Board of Porsche AG. Porsche’s designers went for an athletic and dynamic look. For example, the front windshield and A-pillar are shallower versus the Cayenne; the roof edge is roughly 0.78 inches lower than the standard design. The rear doors and quarter panels also receive a makeover in an effort to “broaden the shoulders.” Even the licence plate bracket gets special treatment. It’s now part of the bumper, making it look as if the Cayenne Coupe sits lower to the ground. Cayenne Coupe drivers will enjoy the eight-way Sport Seats that offer generous lateral support, according to Porsche. In the rear, the Coupe receives a bench but with characteristics of individual seats. Rear passengers sit 1.18 inches lower than in the Cayenne, meaning headroom is unaffected despite the lower profile. Cargo volume is 22 cubic feet and increases to 54.3 cubic feet with the rear seats folded. By comparison, the Cayenne Turbo Coupe has 21.2 feet with the rear seats standing; 53.3 cubic feet folded. 2020 Porsche Cayenne Coupe. Photo: Porsche Cars North America, Inc. The Cayenne Coupe features the same 3.0-liter mono-turbo V6 as the standard Cayenne, generating 335 horsepower and 332 lb-ft. of torque. The standard Coupe hits 60 in 5.7 seconds; 5.6 seconds with Porsche’s optional lightweight-sport packages. By comparison, the Cayenne Turbo Coupe employs a 4.0-liter, twin-turbo V8 with 541 horsepower and 567 lb-ft. of torque. The Turbo Coupe hits 60 in 3.7 seconds with a top speed of 178 mph. All Cayenne Coupe models come with the Sport Chrono Package standard. For the Cayenne Turbo Coupe, Porsche’s Sport Exhaust System is available. The current Cayenne Turbo was the first Porsche to feature an adaptive roof spoiler, something the new Cayenne Coupe adopts. Every Cayenne Coupe receives both the roof spoiler and an adaptive rear spoiler as part of the Porsche Active Aerodynamics (PAA) package. The spoiler extends by 5.3 inches to increase downforce to the rear axle at speeds above 56 mph. The 2020 Porsche Cayenne Coupe will arrive this fall with a starting price of $75,300. The Cayenne Turbo Coupe will start at $130,100. Add an additional $1,250 for delivery, processing, and handling. 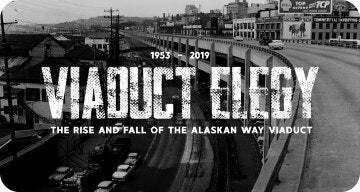 The Automoblog Staff contributed to this report. 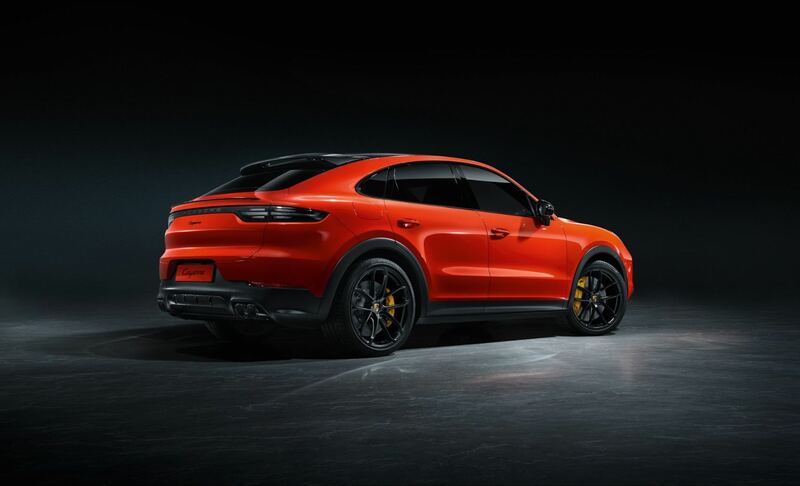 Photos & Source: Porsche Cars North America, Inc.
No Comments on "2020 Porsche Cayenne Coupe: Now With “Broader Shoulders”"